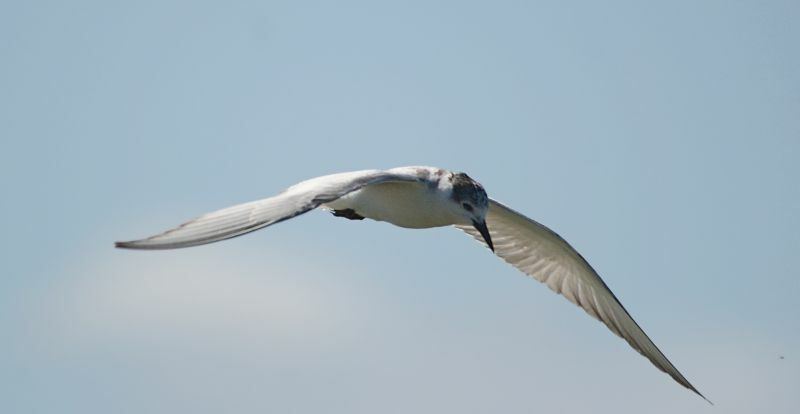 Whiskered Terns belong to a group known as marsh terns, along with Black Terns and White-winged Terns, and are fairly small at 23 - 25 cm in length. They are generally found inland in Australia, although can be seen coastally when on migration to Indonesia and sometimes at estuaries. They range from Europe, through Asia, Africa and on into Australasia - birds in the more northern and southern regions migrate and those in tropics usually stay put. As with other terns, their diet consists mostly of fish that are caught in dives, but they also eat insects and amphibians. 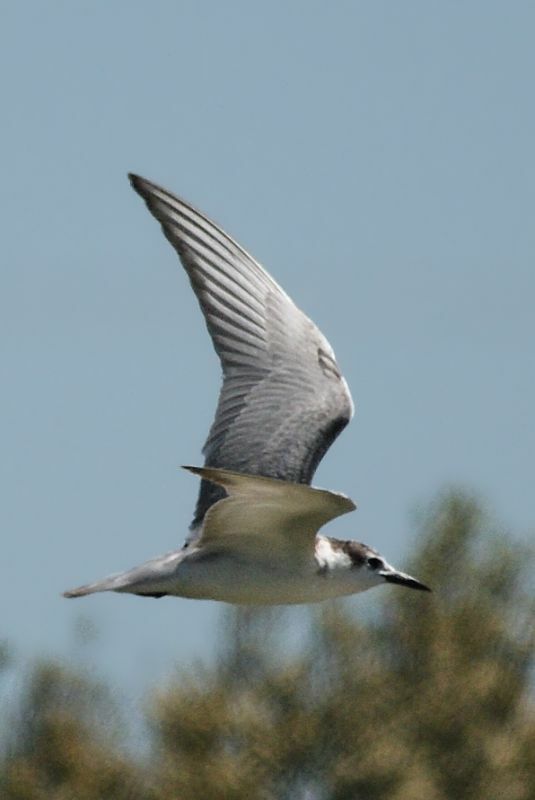 Unlike the other marsh terns, Whiskered are much lighter in colour and look more like Sterna terns, hence the hybridus part of the scientific name, although the Black-fronted Tern of New Zealand has now been added to this genus and looks even more Sterna-like. The birds in these two photos are non-breeding: breeding adults have full black caps, which juveniles have darker patches on the wings. 1-2: Greenfields Wetlands, Mawson Lakes, SA, 13/10/2012.